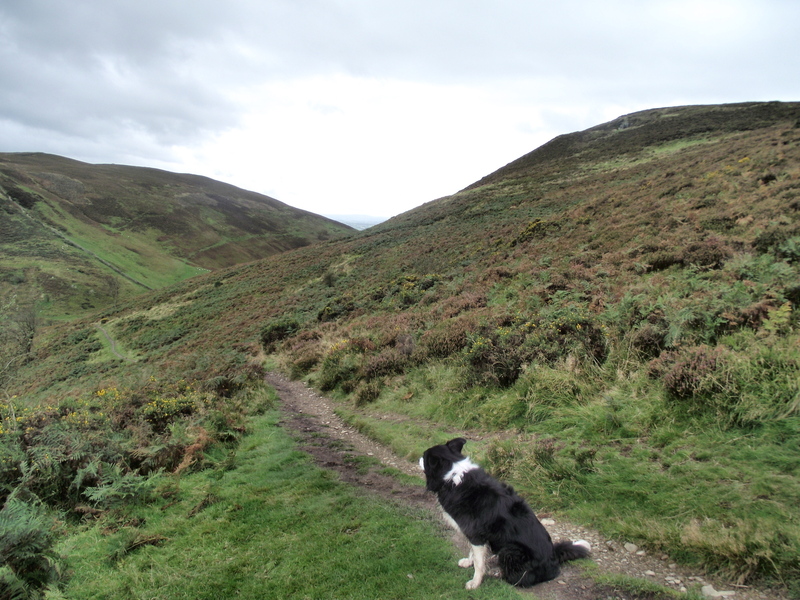 After dawdling round Dorset and swanning around Swanage it was time to return to the hills in my own backyard. 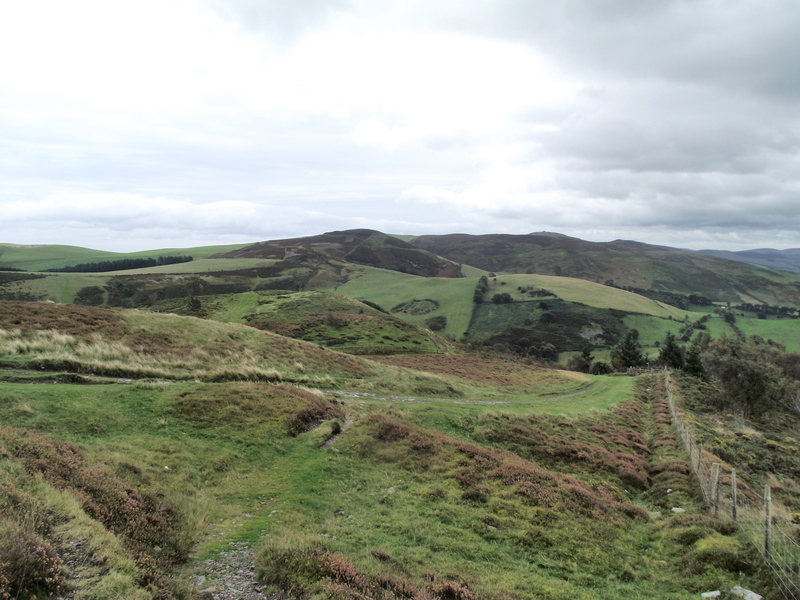 Although we have explored our own local hills of Moel Hirraddug ( post #73) and Craig Fawr (post #82) at the northern end of the Clwydian Hills, and had also walked out over Moel Famau at the southern end of the range (post #79), there was still a lot to look at in between. 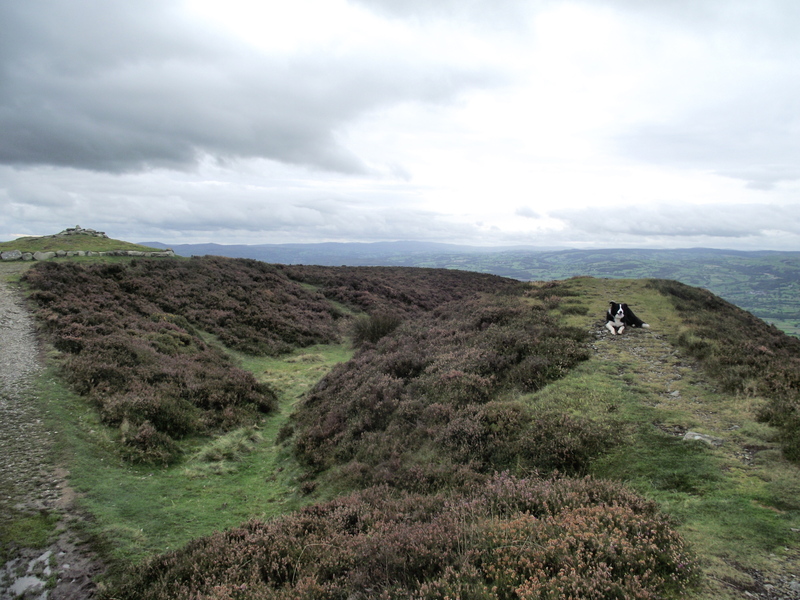 My sights were on the Iron Age hillforts of Moel Arthur and Penycloddiau. The plan was simple – I had to drop Chris off at a fund raising event at St Asaph. 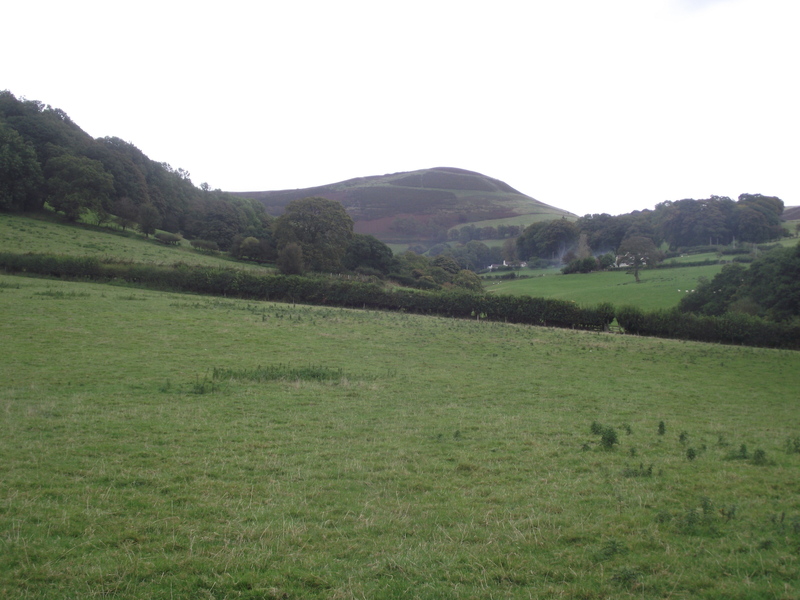 Having done that I would head for the Moel Arthur car park and carry on to Penycloddiau. The only complication was that to pick Chris up after her event, I would have to get a shift on – the dog seemed to be up for it, so it was game on. Time for a quick history lesson. 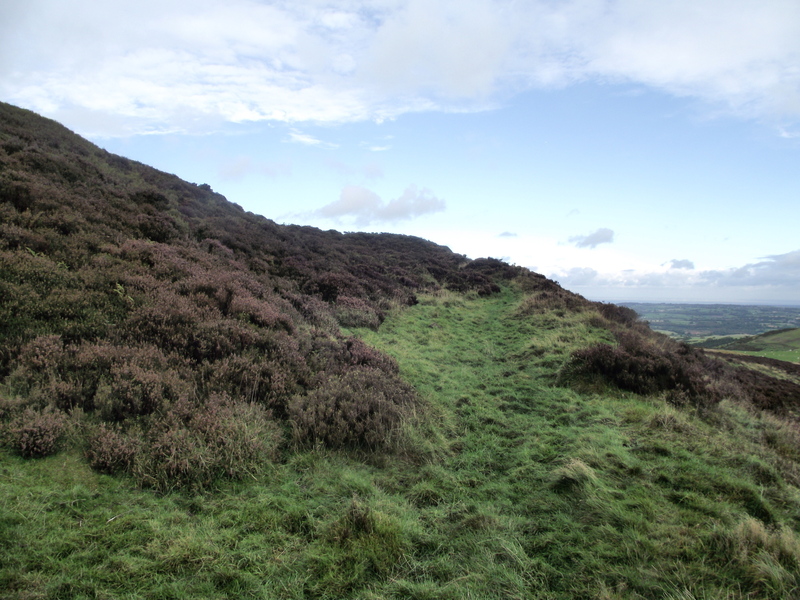 The hillforts of the Clwydian Range were constructed in the Iron Age, which makes them about 2500 years old. 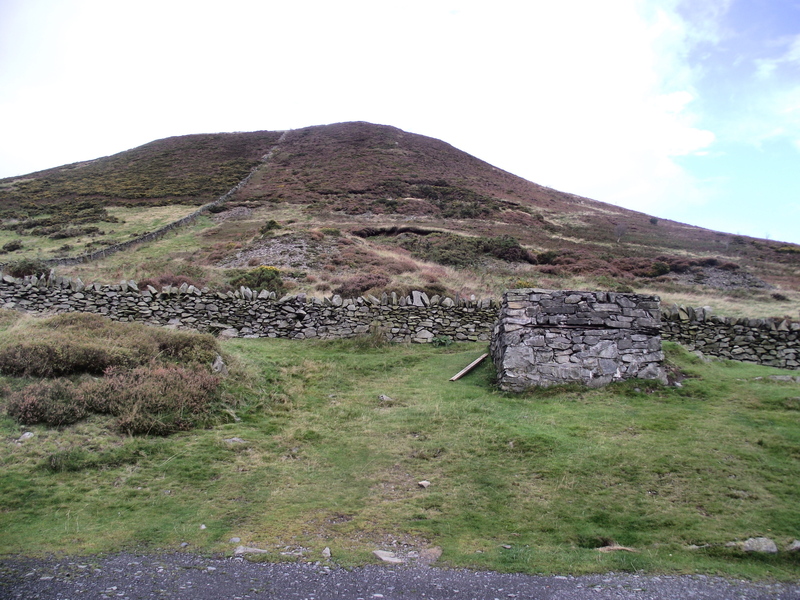 If that’s not old enough for you, there are traces of Bronze Age burial mounds on both hills. These date back at least 4000 years, possibly more – that’s old! 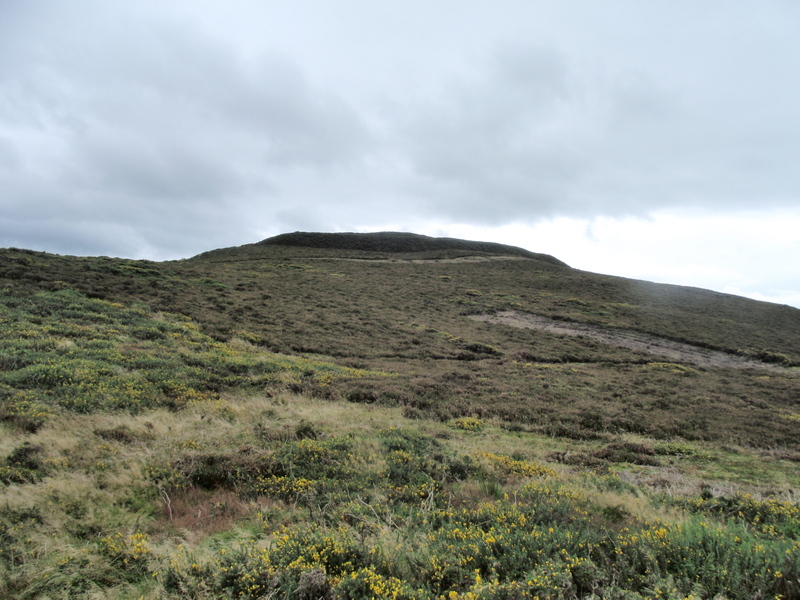 Looking at it another way, the Bronze Age mounds were already old when the Iron Age forts were being built. 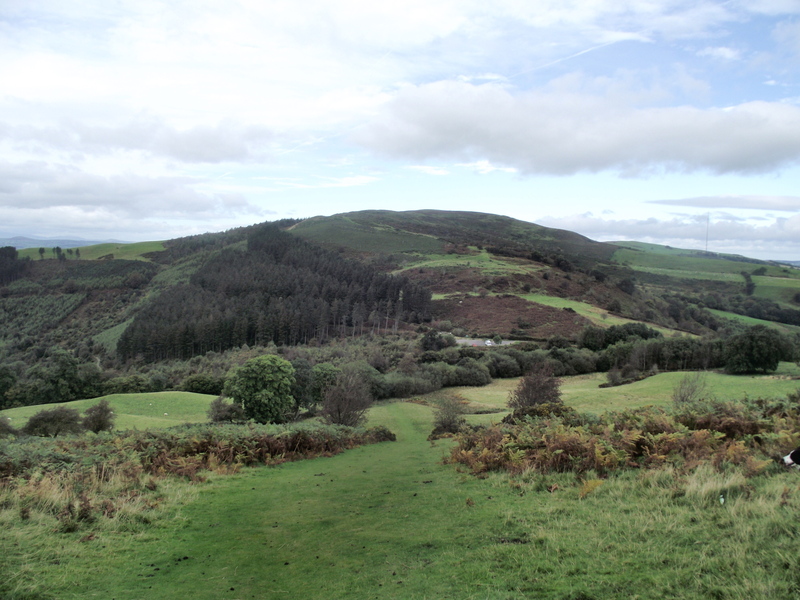 Although Moel Arthur is fairly small, the slopes are steep enough to make an attacking force think twice about carrying on! 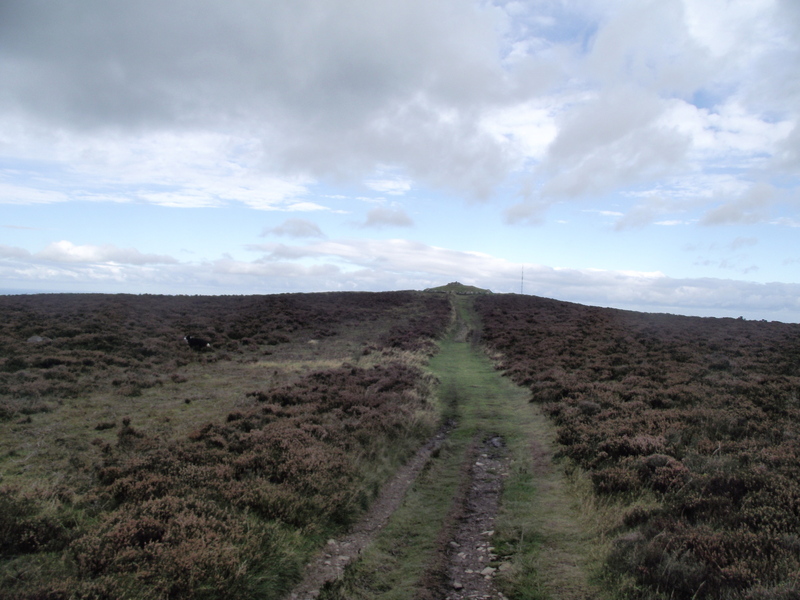 However, there were no Iron Age warriors throwing stones and spears today, and the ascent didn’t take very long. The remains of the ditches and ramparts are still impressive after 2500 years, but there was little evidence of the Bronze Age construction. 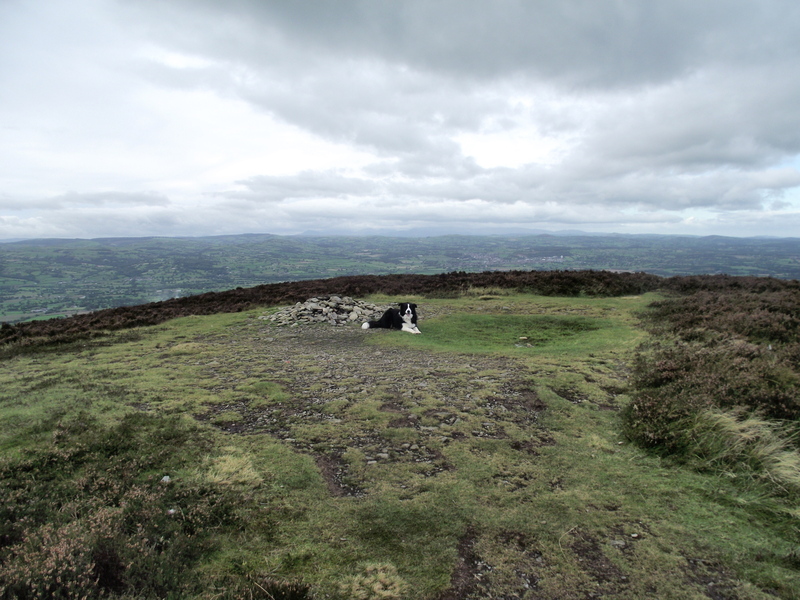 From Moel Arthur I followed the Offa’s Dyke Path to Penycloddiau. 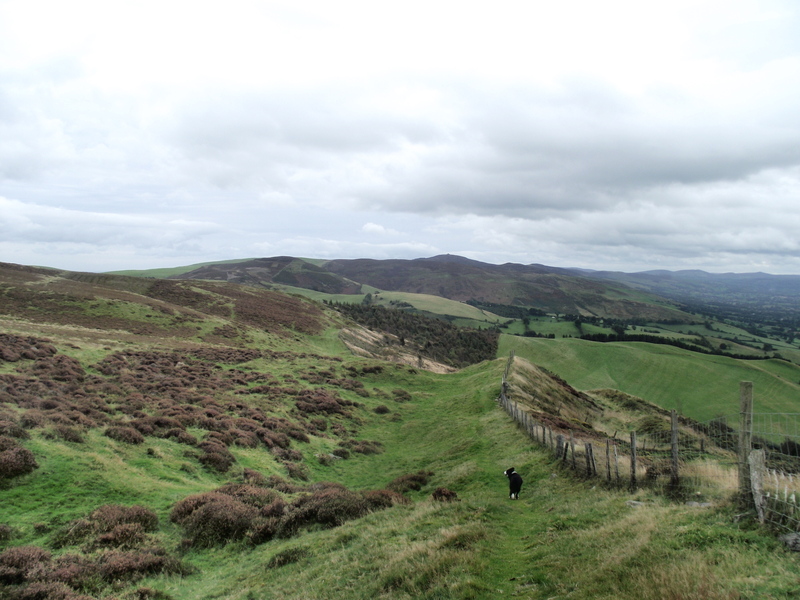 Offa’s Dyke was built in the late 700’s AD, making it almost modern, but the even more modern 176 mile path (designated as a national trail in 1971) doesn’t actually follow the Dyke at this point. 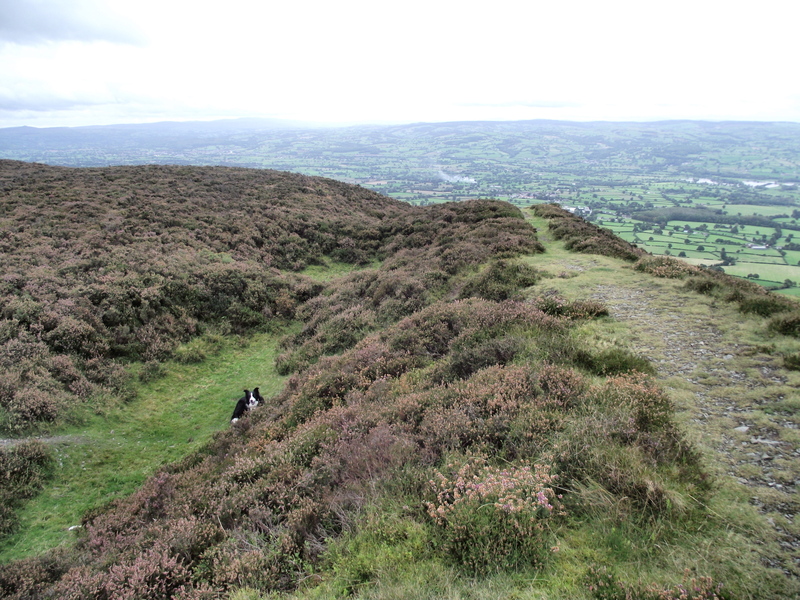 It does, however, follow the most logical route along the crest of the Clwydian Range. 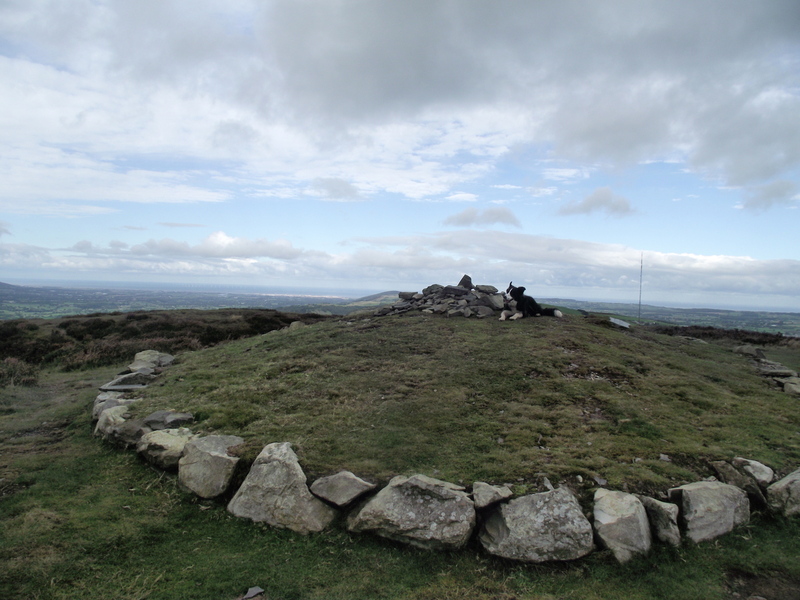 The summit of Penycloddiau (‘The Hill of the Ditches’) has a better preserved Bronze Age burial mound, reconstructed in 2010. 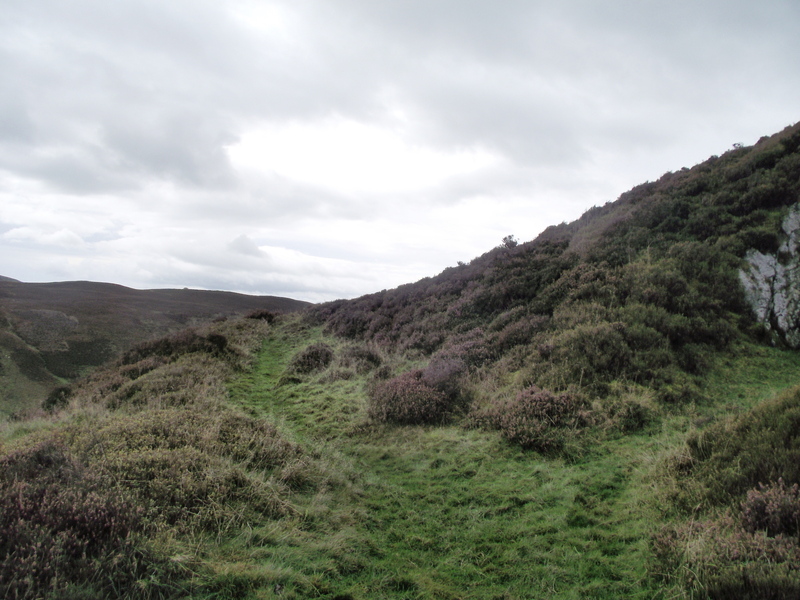 However, it’s the Iron Age ditch and rampart that impress the most, and I followed the line of the western ramparts on the return route. 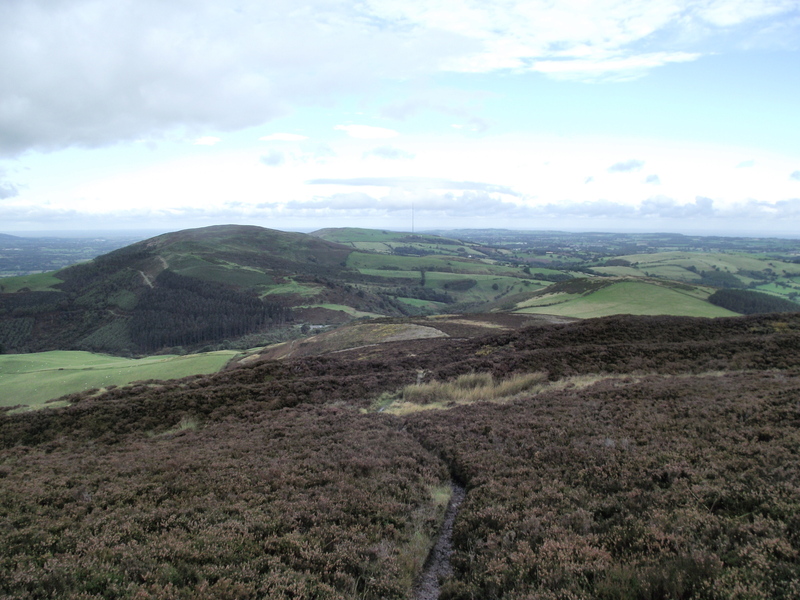 An attackers view of the northern side of Moel Arthur …. …. 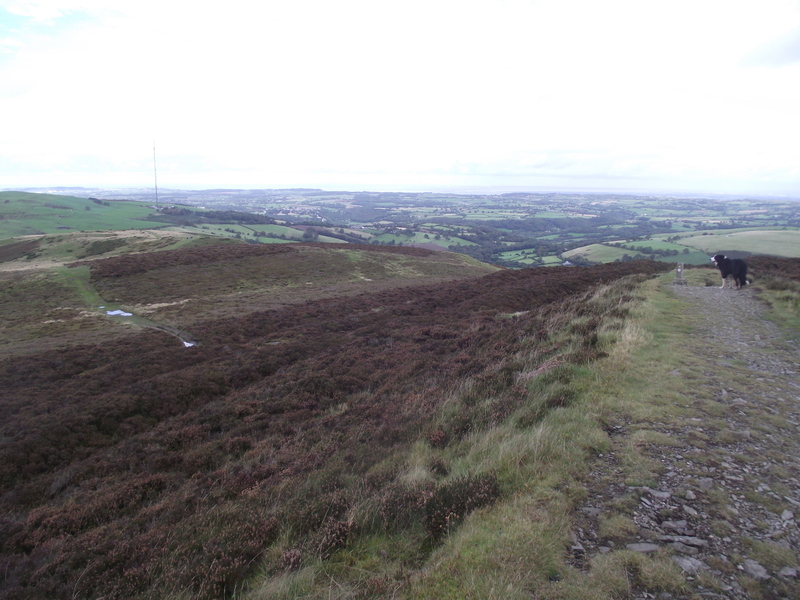 and the eastern side, with a path running to the gateway …. Although these man-made structures appear timeless, I didn’t have that much time left. To be back in time to collect Chris meant that it was time to ‘up’ the pace, and I ran the remaining down and level sections to bring me back to a re-ascent of Moel Arthur – I blame my recent trip to Dartmoor to join my old mates from the Royal Marines in their ‘leisurely’ stroll across Dartmoor (post #97) for all this running nonsense. From there I was soon back at the car park, 4000 years of history seen in just a couple of hours. Text and images © Paul Shorrock except where indicated otherwise. The image by Bryan Pready is taken from the Geograph project, and reproduced under a Creative Commons Licence. You will find more fine images by Bryan here. p.s. Last weeks Jurassic Coast walk (post #98) has created some considerable interest amongst readers of this blog – you can see more of this coast by looking at the Jurassic Agent website, or by taking a ‘virtual walk’ on a section of that coast near Weymouth. This entry was posted in 5. 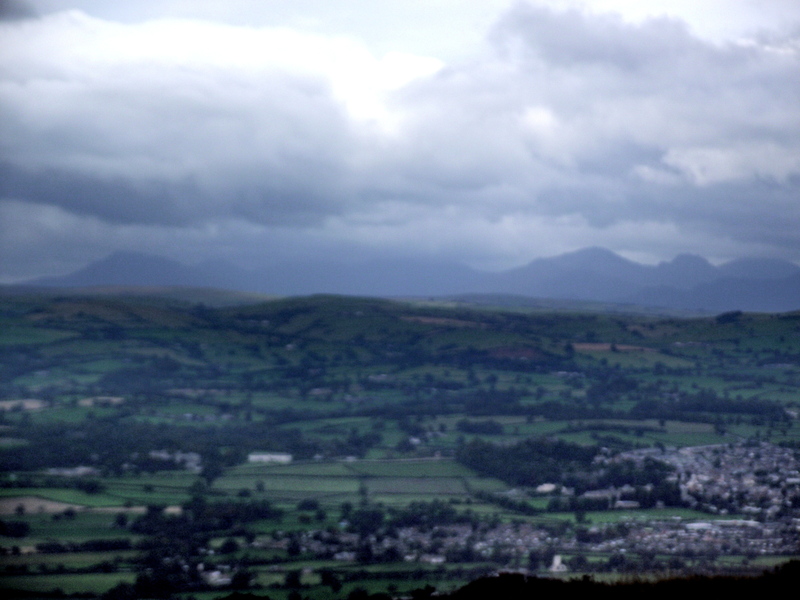 North Wales and tagged Clwydian Hills, hillwalking, photography. Bookmark the permalink. Another interesting post! Must have been pretty rough living in those forts all those years ago. I like your footnote, how do you do that? Hi John, and thanks for dropping in again. Apparently the climate 4000 years ago was much milder – there are Bronze Age remains all around the UK and Ireland in places that would be virtually uninhabitable today. By the footnote, I take it you mean the small ‘About’ section with photo. To be honest, I’ve forgotten how I did it, and a quick look in edit mode didn’t help – I’ll try to put a few minutes aside later to remind myself how it’s done. I suspect it’s one of the features available in WordPress. Very interesting – and the birth of a new sporting activity, ‘Speed History’! I see Mist continues to come in handy for giving a sense of perspective to the photos – especially when Chris isn’t there. 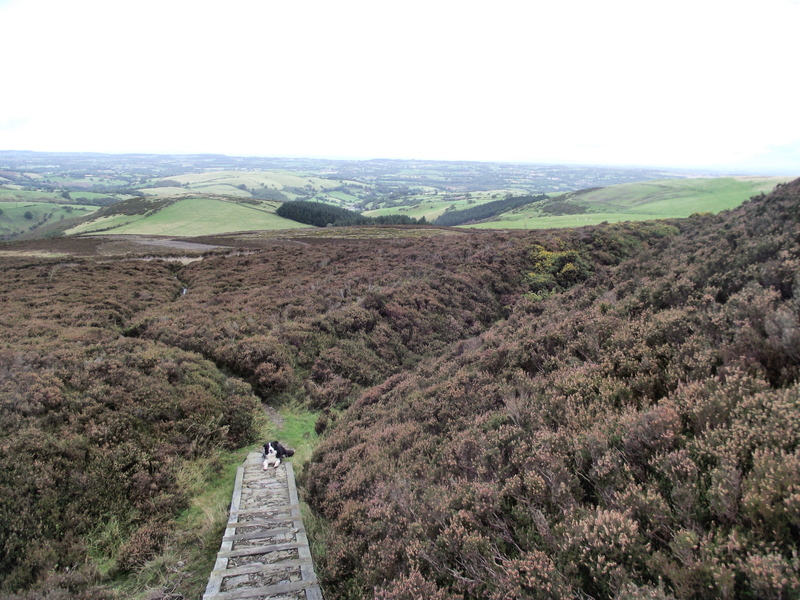 I like walks with a bit of ancient history thrown in! 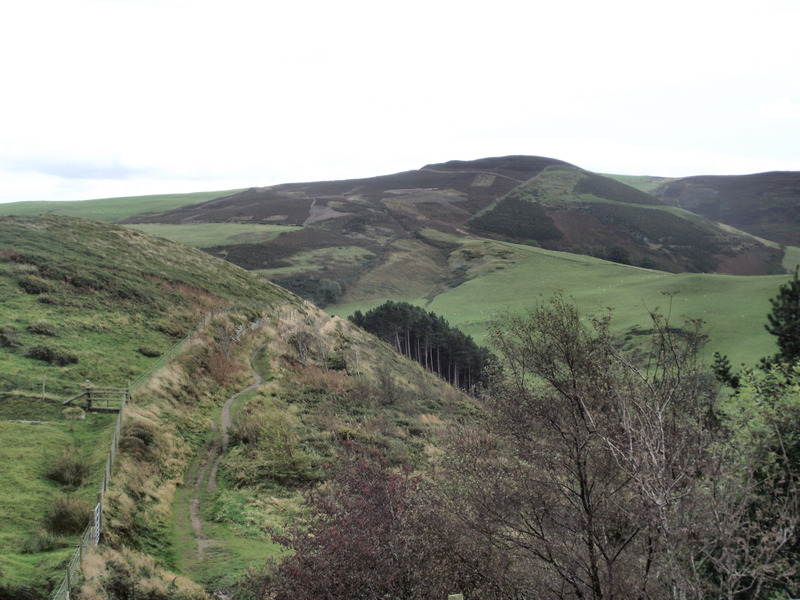 I was very interested in the forts, having “done” all of them in SE Scotland, and many of the West Highland “Duns” My home county, East Lothian and where the capital now stands was part of the territory of a welsh speaking tribe called the GUODDODIN (The Romans called them the VOTADINI). 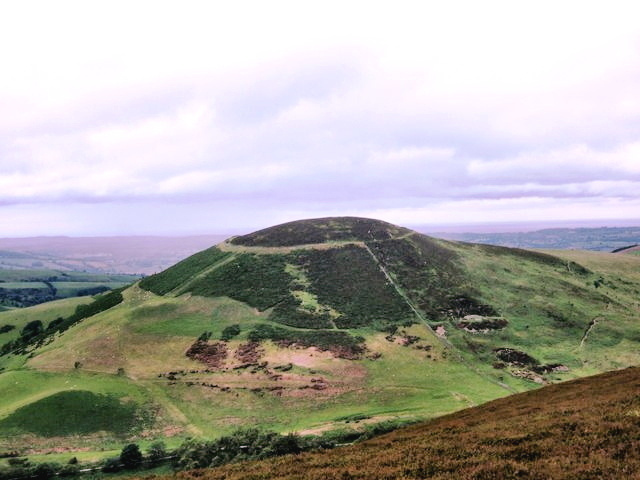 They seem to have moved south around the time the Romans left Britain but we still have welsh based names like :- Pencaitland (old spelling Pencait…) The Guoddodin had Arthur’s Seat and Traprain Law- a magnificent oppidum) as their main centres. It’s fascinating, isn’t it John! 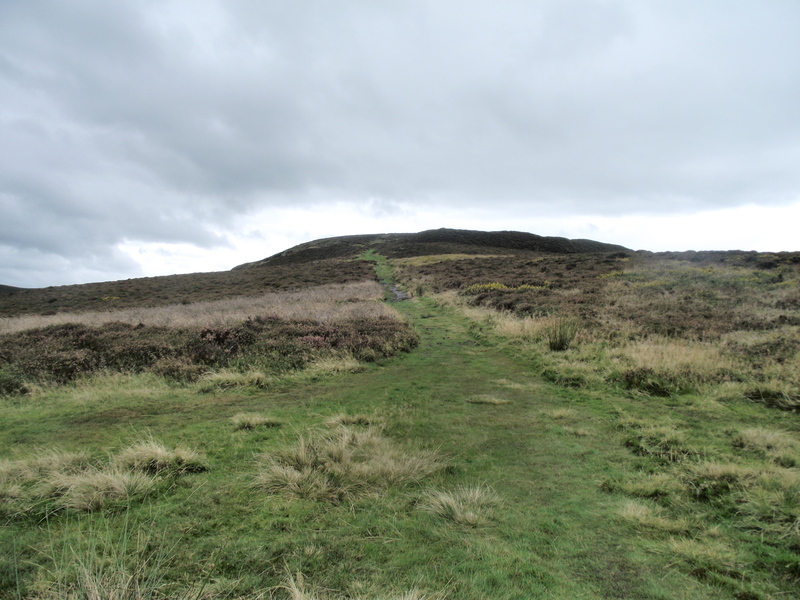 What is especially interesting in the Clwydian Forts is their close proximity to each other – I’ve no idea if they were independent settlements, or a series of forts built and maintained by the same tribe.